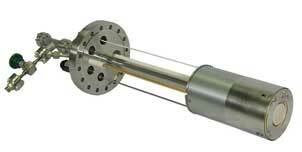 The SVT Associates RF Plasma Sources are used in a variety of applications including Nitride MBE, Oxide MBE, and other plasma processing techniques. 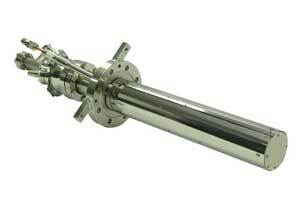 Typically used to produce low energy beams of atomic nitrogen, oxygen and hydrogen, the RF Plasma Source enables growth and processing of today's most advanced materials. With three sizes of plasma sources, the SVT Associates industry leading Plasma Sources are used for R&D to production applications, and is one of our most popular MBE Components. The SVT Associates RF Plasma Sources have demonstrated to have some of the highest dissociation efficiencies.1 2 This enables high growth rate applications such as GaN growth rates exceeding 4µm/hr. The RF Plasma Sources can also be configured for doping applications.